A fire and life safety report was created for Foothills Credit Union bank located in Loveland, Colorado. 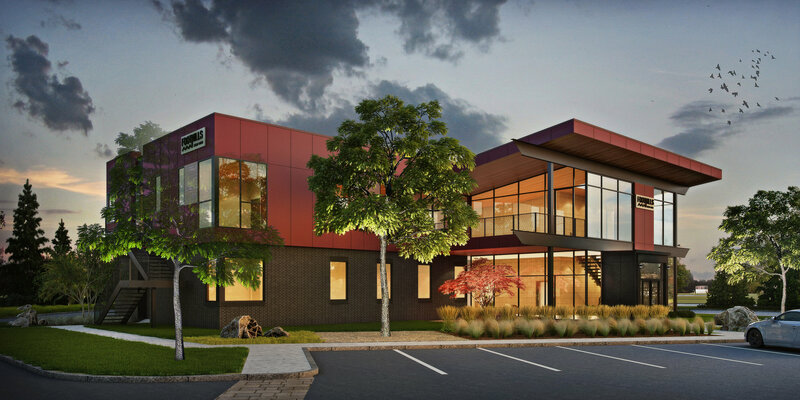 A majority of the facility will utilize metal stud framing with insulated plywood sheathing system for the exterior walls and gypsum board for the interior walls which will meet the classification of a Type IIB per International Building Code (IBC) Section 602.2. The Foothills Credit Union will primarily be utilized as a bank with teller stations, offices, and a lobby located on the first floor. The second floor will primarily be utilized for additional offices and meeting rooms. The Foothills Credit Union occupancy classification is considered a Group B business occupancy in accordance with IBC Chapter 3 with a total area of 9,437 ft2. anticipated fire protection and life safety requirements based on current and applicable base building and fire codes. All work will be performed in accordance with the 2012 International Building Code and all applicable local amendments. TERPConsulting is able to work on bank fire protection, bank fire code consulting, and building code consulting directly with architects to preemptively review any foreseen issues.